January has always been a month for remembrance and reassessment, especially for reflecting on the life and legacy of Elvis Presley. The start of this new year also finds me contemplating the role of Elvis History Blog … the road it’s traveled these past eight years and its prospects for the future. First of all, though, it’s a time to wish happy birthday to Elvis. On January 8, 2016, he would have been 81. That’s an age reached by millions of Americans, so it’s bittersweet to contemplate what his life and career would have been like today if he had lived a full and productive life. Thankfully, though, his relatively short life was packed with enough memorable accomplishments to sustain his fans through the decades since his untimely death 38 years ago. So, on Elvis’s birthday this year, Elvis History Blog reaches the age of 8. The first two months of its life in 2008 were spent taking baby steps—choosing a design scheme, building a home page, and creating a mechanism for site visitors to buy my book. I kept up my weekly blogging for four years through February 2012. Eventually, though, other non-Elvis writing responsibilities required me to move to a bi-monthly schedule of Elvis blogging. 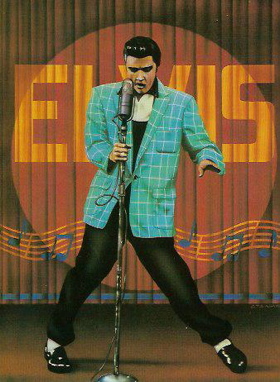 Since March 2012, my Elvis history blogs have appeared on the first and third Thursdays of each month. Another piece of advice that Phil Arnold gave me was to keep the length of each blog under 1,000 words. People who read blogs, he explained, prefer something they can read in a few minutes. They’re not interested in longer essays. Although it sounded reasonable to me, from the very beginning I found it impossible to write an Elvis blog with any substance in less than a thousand words. In fact, most of my blogs through the years have run between 2,000 and 2,500 words. The basic difference between Phil Arnold’s blog and mine is that Phil’s is visually oriented, a little copy and a lot of images; mine is information based, a lot of copy and a few images. 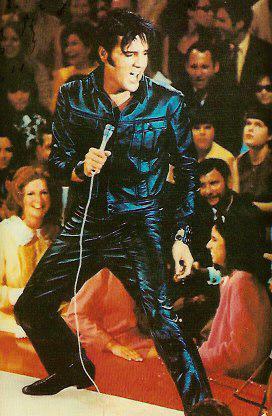 Time has shown that both of our formats have found an audience in the Elvis Presley online world. As promised in my very first Elvis blog nearly eight years ago, a commitment to historical honesty underlies every article that appears on Elvis History Blog. I am and always will be an Elvis fan, and my blogs reflect the respect and honor he justly earned during his career. However, he was a human being with flaws like all people. How those imperfections became apparent and how he managed them are part of what makes the great American story of Elvis Presley’s life so interesting. His great achievements are even more remarkable when viewed in the context of his personal frailties. Such an honest approach to Elvis’s life and career troubles many of his faithful fans. I know because some occasionally voice their displeasure in response to some of my blogs. For example, after I posted a blog about Elvis’s limited guitar skills a few weeks ago, one reader responded, “You’re sounding more and more like Albert Goldman.” Comparing my essays to the hatchet job Goldman did on Elvis is pointless. I acknowledged that Elvis’s rhythm guitar work was a key component in the Sun recordings and quoted Elvis’s own assessment of his guitar skills. There are lots of sites out there for fans who only want to glorify Elvis. I’m not putting those fans down; Elvis History Blog is just not for them. As mentioned earlier, Elvis History Blog was originally created in 2008 to help market my Elvis ’57 book. Long ago, though, I realized that wasn’t going to work. Readers have always been able to order copies of my book on the site. And it’s the only way to get an autographed copy. And yet, over the last eight years, I’ve sold only about a half dozen copies through this website. So what keeps me blogging away when it doesn’t help me sell books? Several things, the most important of which is that I enjoy the research and the writing process. I have a life-long emotional attachment to Elvis Presley and enjoy discovering more about him and sharing it with others. For the record, I have no inside access to sources of information about Elvis. I have no “connection” at Graceland. I have never had any contact with Elvis insiders, like Scotty Moore, Joe Esposito, George Klein, Ann-Margret, Red West, or anyone else who knew Elvis. What I do have are the books those people have written. I also have over 20 huge binders filled with copies of newspaper and magazine articles about Elvis, compiled during hundreds of hours viewing microfilm at the Spokane Public Library. I pulled copies of every article about Elvis from every issue of Variety and Billboard published during his career. Using the library’s inter-library loan program, I’ve been able to access local newspaper accounts of hundreds of Elvis’s personal appearances in the ’50s and ’70s. My home office now houses a decent Elvis research library, which allows me to gather information from a variety of sources when writing my Elvis blogs. The process of searching for information and data, assessing its legitimacy, and organizing it into an essay is an entertaining by-monthly adventure for me. As much as I enjoy the research and writing process, it’s doubtful I would have continued blogging about Elvis for so long without the incentive provided by readers who take the time to provide feedback. About half of the comments I receive come from people wanting to know how much their Elvis collectibles are worth. Since I’m neither a collector of Elvis items nor knowledgeable about the value of such things, my advice to all such queries is to suggest they put their items up for auction on eBay and see what happens. It’s the readers who comment on the blogs themselves that have kept my interest in Elvis History Blog alive through the years. 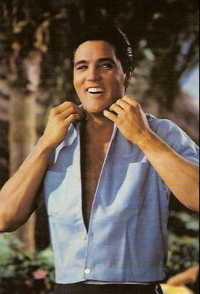 Of course, the short positive comments are appreciated, but I especially enjoy the longer commentary some readers share about their Elvis memories, such as having seen an Elvis concert, their opinion of certain Elvis movies, or how Elvis’s music played a part in their lives. I try to answer every message that comes to me through Elvis History Blog, and a couple times each year, I give my blog page over to some of the more interesting feedback that has come my way. Occasionally, I receive requests for permission to reprint some article that is posted on Elvis History Blog. 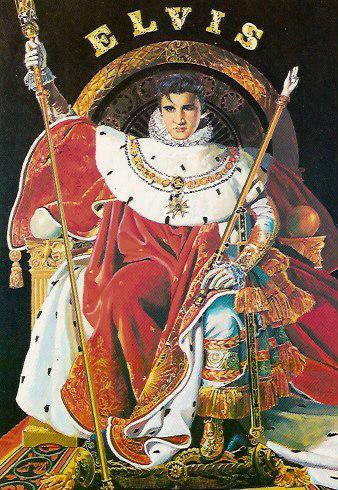 If the book or magazine described by the requester seems to be an appropriate one, I normally give permission to reprint, as long as I’m credited as the author and the source is identified as Elvis History Blog. The most requested items for reprinting are my reviews of Elvis’s films. To date, 13 of my Elvis movie reviews have been reprinted in books and magazines. Most recently, my review of Live a Little, Love a Little was included in the liner notes for the Follow That Dream label’s soundtrack CD for that 1968 Elvis movie. 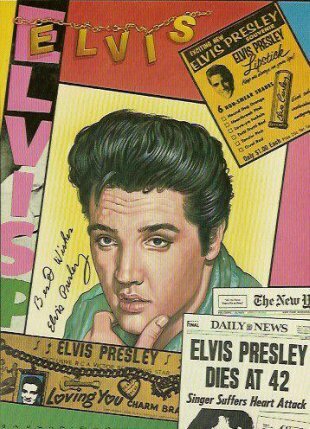 An additional 34 articles posted on Elvis History Blog have also been reprinted in books and magazines. “Our names are Alexa Hamernik and Lily Ekre. We are sixth grade students from Hawley Elementary School in Hawley, MN. We are currently working on a research project for the National History Day competition. The theme this year is ‘Exploration, Encounter, Exchange.’ The topic we are researching is Elvis Presley. “In our classroom we are learning to collect information from different sources. We are wondering if it would be possible to contact you in the future with more questions about your involvement on Elvis Presley. We will need that information as soon as possible, since we are working on research right now and will be completing our researching by January 15th. After that date we will be creating an exhibit board to show our findings. We will also be creating an annotated bibliography to go with our research. "How his imperfections became apparent and how he managed them are part of what makes the great American story of Elvis Presley’s life so interesting. His great achievements are even more remarkable when viewed in the context of his personal frailties."